The No. 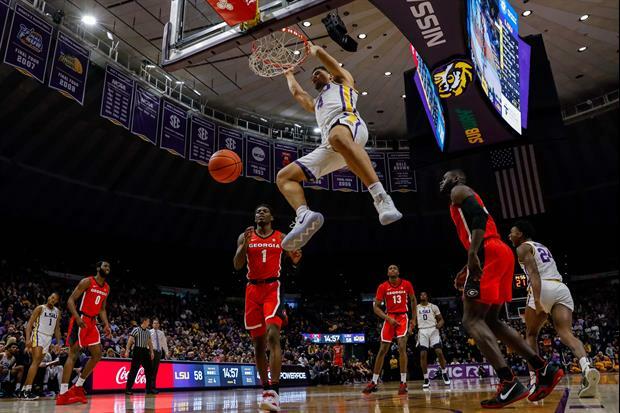 19 LSU Tigers (17-3, 7-0 SEC) will host the Arkansas Razorbacks (12-8, 3-4 SEC) on Saturday night at 5 p.m. CT at the Pete Maravich Assembly Center. Most importantly will be trying to remain undefeated in the SEC as the Tigers enter with a 17-3 record and one of two undefeated teams in the league at 7-0 presently. No. 1 ranked Tennessee is also 7-0 on the year. The No. 19 Tigers will also be trying to extend an 18-game home winning streak that started late in January 2018. The streak is presently tied for second longest in the history of the Maravich Center. A win on Saturday would give this LSU team the possession alone of the second longest streak in the building’s 48 seasons and would be four shy of the all-time longest in the building. LSU is also looking to extend a 10-game winning streak which is tied for the fourth longest in the nation entering the weekend and tied for the eighth longest in the SEC era at LSU. Arkansas enters the game 12-8 and 3-4 and is coming off a 70-60 win over Georgia on Tuesday in Fayetteville. Read more. They started doing those Cane's challenges at Loyola Chicago games this season. I got a free box combo last weekend, in fact. I think the nostalgia made me more excited than the students. Free Popeye's means 5 biscuits with nothing to drink and you have to pull ahead.